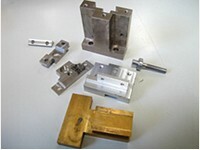 Professional in Providing Various Precision Metal Parts. Champion H&C Inc. is a leader in the design, manufacturer, providing precision metal parts, we located in Taiwan, found in 1990. Our manufacture process have Precision machining, CNC Milling, CNC Lathe and diecasting for prototype and volume production, your honest partner to OEM and ODM contract manufactures. Champion H&C Inc. understand customer's competition of their industries and we always perceive how to intensify customer's business, ability, therefore Champion H&C constantly improve our management aiming at "integrity, practicality and innovation in order to achieve our quality policy of fully satisfying the customer needs. Champion H&C is ISO Certified manufacturer, to constantly improve products quality that QC system run IQC, IPQC FQC and CPK for mass proudction parts. Champion H&C also providing diversified aluminum die casting, stamping and customized metal components from copper, brass, stainless steel. 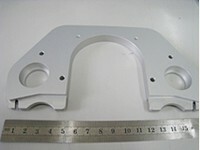 Special in CNC center(6units), we can work to the extreme tolerances for machinery according customer request. 1. We produce all types of industrial aluminum products & metal products whether tooled or machined. 2. We produce customized products and components from Aluminum, Stainless Steel, Copper, Brass, Carbon Steel. 3. 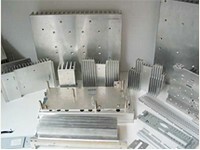 We provide tooling development on aluminum diecasting, metal stamping. 4. We supply complete and expert anodize process recommendations tooling, machining and product development. If you need special screw, precision bending, tube modication, Aluminum Die Casting, metal cast parts, please send your drawing, idea etc. to us. Thank you.